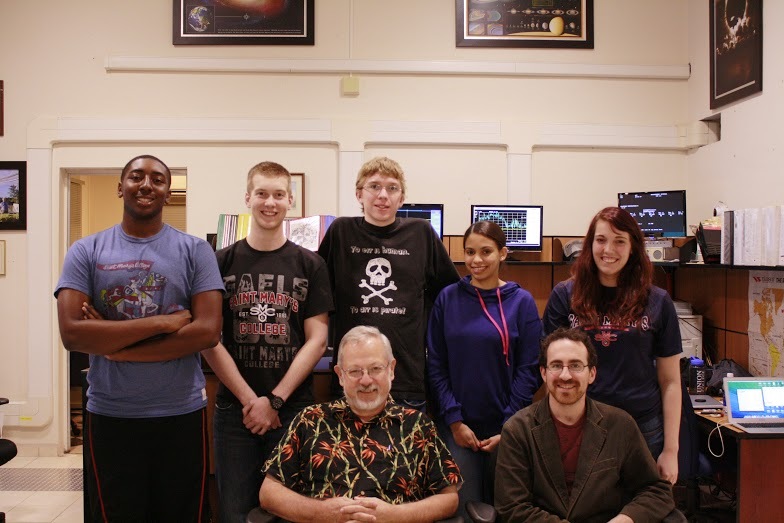 This post was contributed by Genesis Guerra, a first year physics major at Union College. 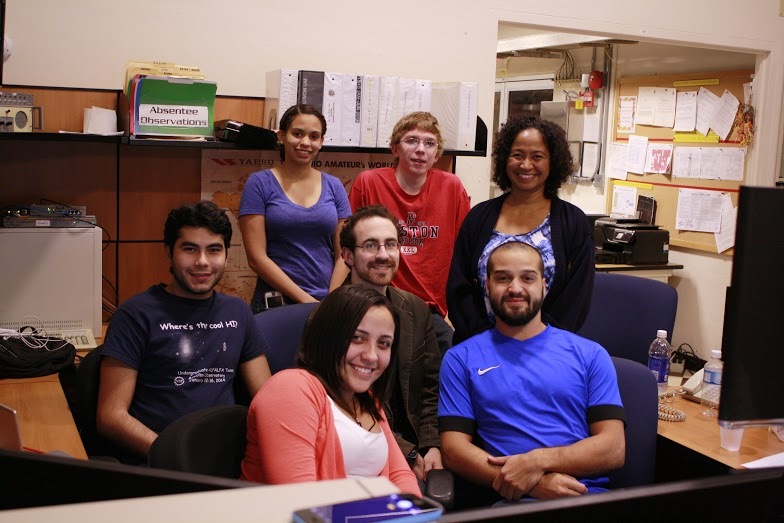 Over the Thanksgiving break she, along with three faculty and seven other students from Union College, St. Mary’s College of California, and University of Puerto Rico traveled to observe at the Arecibo Observatory. I had an amazing experience at the Arecibo Observatory! I’ve learned so much about how astronomers observe our universe and derive important information from it. Before coming here I had no idea how to control a telescope or how to analyze a spectrum. I couldn’t tell what was a detection and what was radio interference, or how to baseline a spectrum, subtract background noise, and measure its rotational velocity and HI mass. But, I do now and, I feel very confident on the skills obtained on this research opportunity. The purpose of our current observations is to observe and detect certain galaxies that weren’t originally detected by the ALFALFA survey because they had too low of an HI mass. Throughout our observing time, we performed two different types of observation. One was a regular targeted observation and the second one was a “search mode”. For regular observing, we observe using narrower frequency bands because we know the velocities and frequencies of the targets. We get better resolution from narrower bands. For search mode, we use wide bands to cover a bigger and wider range of velocities on the sky. We do this because we don’t know the velocities and frequencies of the targets.